↑ "C羅終成就史上第一全滿貫 一年22項榮譽誰人能敵！". 新浪體育. 2009-01-13. 喺2009-01-13搵到. ↑ "United accept Ronaldo offer". Sky Sport. 2009年6月10號. 喺2009年6月11號搵到. 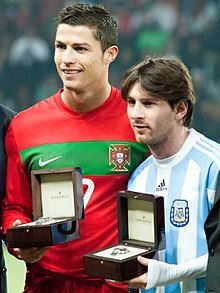 ↑ "Cristiano Ronaldo". StretfordEnd.co.uk. 喺2009年6月13號搵到. 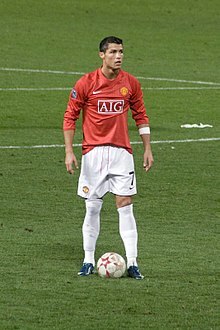 ↑ "Cristiano Ronaldo". National Football Teams. 喺2010年6月18號搵到. ↑ "NEWS AND FEATURES: Kaka edges out Ronaldo - Manchester United Official Web Site". （原先內容喺2009年6月19號歸檔）. 喺2009年1月3號搵到.